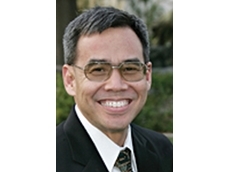 The Supply Chain and Logistics Association of Australia will host Dean Kashiwagi from Arizona State University who will speak about the ‘Leadership Approach in Supply Chain Management’. THE Australian 2006 Supply Chain and Logistics Awards will be held in Perth, Western Australia on the November 17, 2006. The Logistics Association of Australia (LAA) and the Chartered Institute of Logistics and Transport Australia (CILTA) are jointly presenting this prestigious event. The partnership of LAA and CILTA, the two professional associations representing those who work in and support the supply chain and logistics industries, will mean the awards night will be a highlight for industry. A range of awards will be presented on the night including the Mack Trucks Australia Young Transport and Logistics Professional Award, the Transport and Logistics Achiever of the Year and the Transport and Logistics Achievement of the Year. * Training education and development. Winners of the 2005 awards included Siemens/Masterfoods NZ, Mercury Advisory Group, P&O Ports Limited, TNT Logistics (Australia) United Book Distributors, CHEP Australia, Coca-Cola Amatil (Australia), Mathew Pendry of TNT Logistics, Aaron Shelley of BOC and Mick McShea of QR, Hunter Valley Coal Chain Logistics Team. 1. Submissions will be assessed in accordance with the criteria defined for each award category. 2. Wherever possible a member of the awards committee will visit the nominee to assess the subject of the nomination. 3. Submissions must indicate the award for which the entry is nominated. 4. The nomination must be for demonstrable excellence, not proposals or partly implemented projects. All industry organisations and practitioners regardless of where they are placed in the industry are strongly encouraged to participate in the awards as they recognise and celebrate innovation and excellence. The closing date for nominations and submissions for the 2006 Supply Chain and Logistics Awards is 5pm, August 31, 2006. Application forms can be downloaded at www.logistics.org.au. More information on the awards such as sponsorship and trade opportunities is available on LAA’s website.